On February 3rd a male suspect approached a female in the driveway of her apartment complex in the 200 block of E. Alaska Avenue claiming that he was a security officer from a local business. He told her that she was being accused of a crime and demanded that she return to the business with him. When the victim refused, the suspect pointed a handgun at her and attempted to pull her towards his car. The victim was able to get away and the suspect fled in a light colored 4-door vehicle, possibly a 2012-2014 Hyundai Sonata. The victim described the suspect as a black male in his 20s, approximately 6’ tall and 220 pounds. Detectives took over the investigation, and in an effort to identify the suspect, turned to social media. On February 21st photos of the suspect and his vehicle were posted to the Fairfield Police Department Facebook page. Citizens recognizing the suspect were asked to contact the Investigations Bureau. 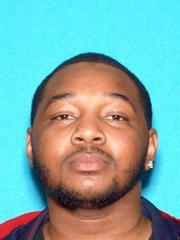 By the following day, the suspect had been identified as Josiah Washington, a 19-year old Fairfield resident. Learning that he was a suspect in this investigation, Washington contacted the Fairfield Police Department and spoke with detectives. During the course of the investigation, detectives learned that the suspect was at a business in the 2400 block of N. Texas St when he witnessed what he believed to be a theft perpetrated by the female victim. Having experience as a loss prevention agent, he took it upon himself to contact her and attempt to affect a citizen’s arrest, at one point brandishing a pellet gun. When the victim fought back the suspect fled in his vehicle. This afternoon, Josiah Washington was again contacted by Fairfield Police detectives and taken into custody on charges of false imprisonment, attempted kidnapping, and a weapons violation. We want to thank everyone who responded to our Facebook post. Once again, with the help of our community, we were able to quickly identify the suspect and bring a resolution to this case. A photo of Washington is attached to this news release.